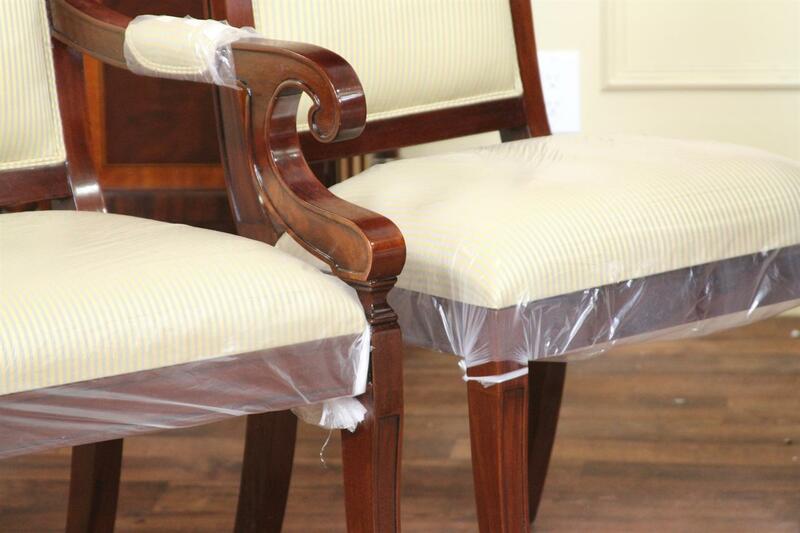 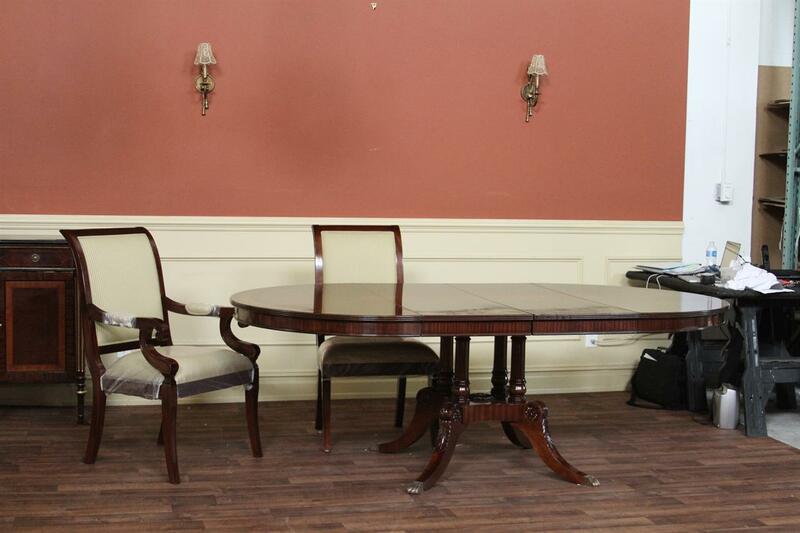 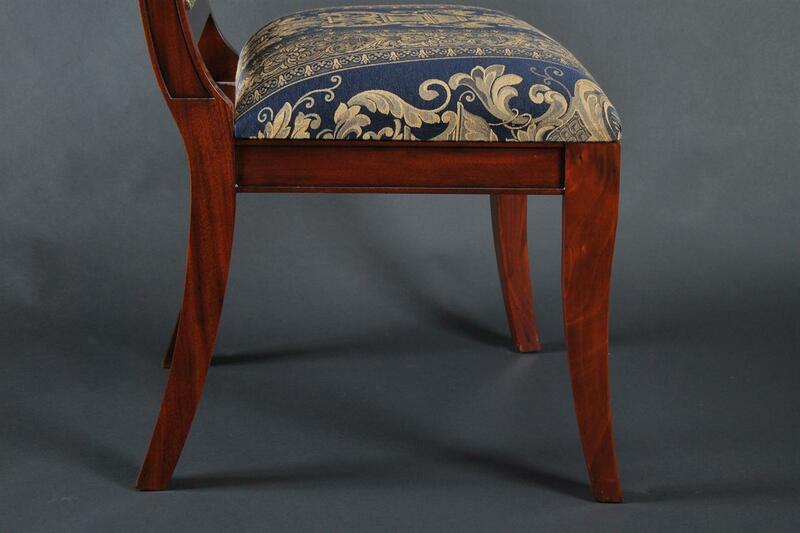 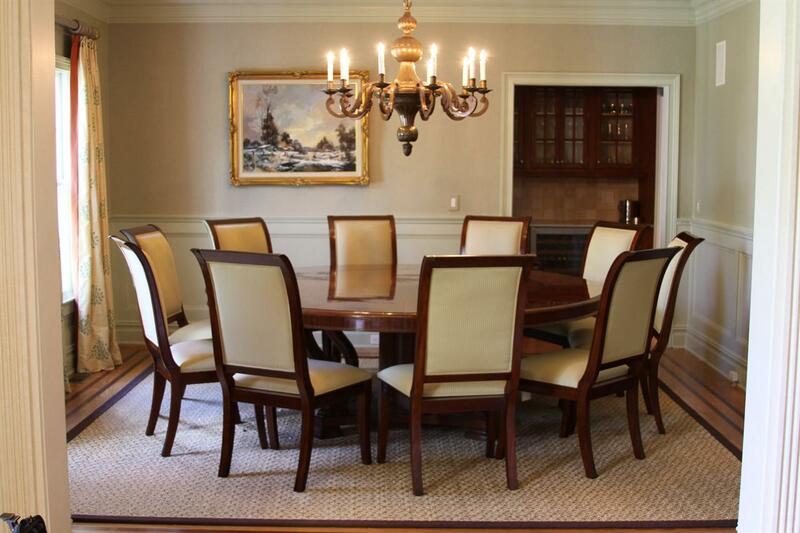 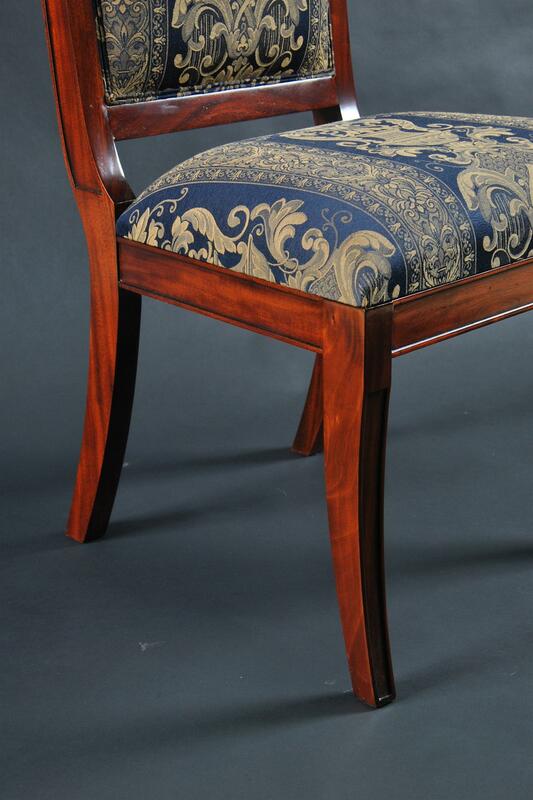 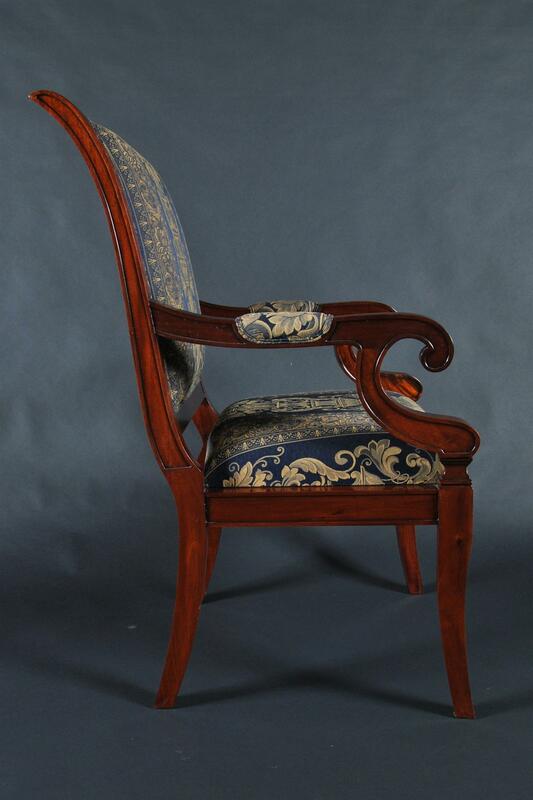 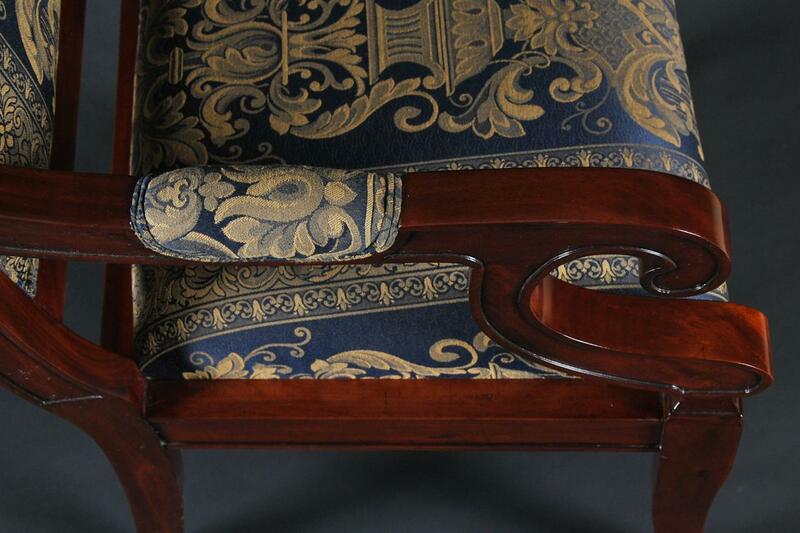 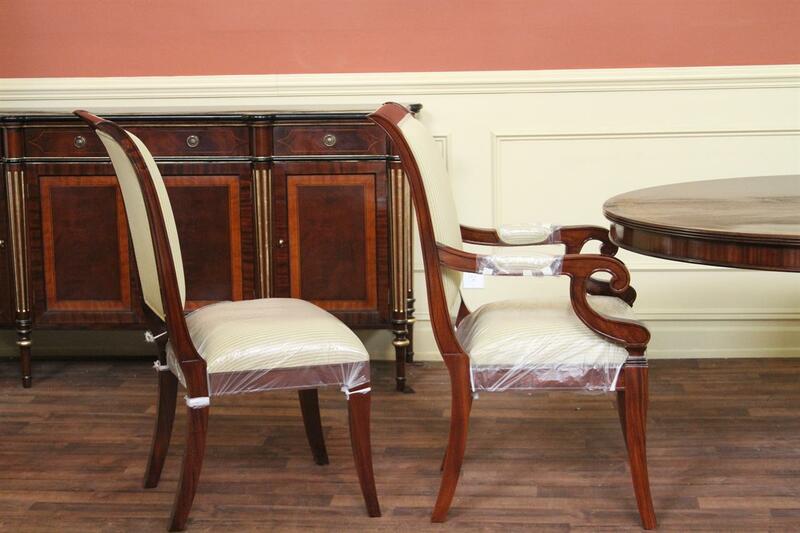 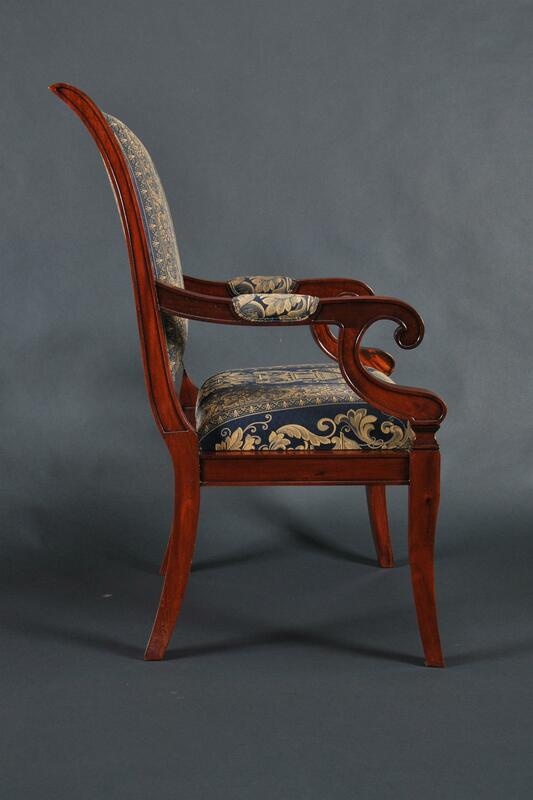 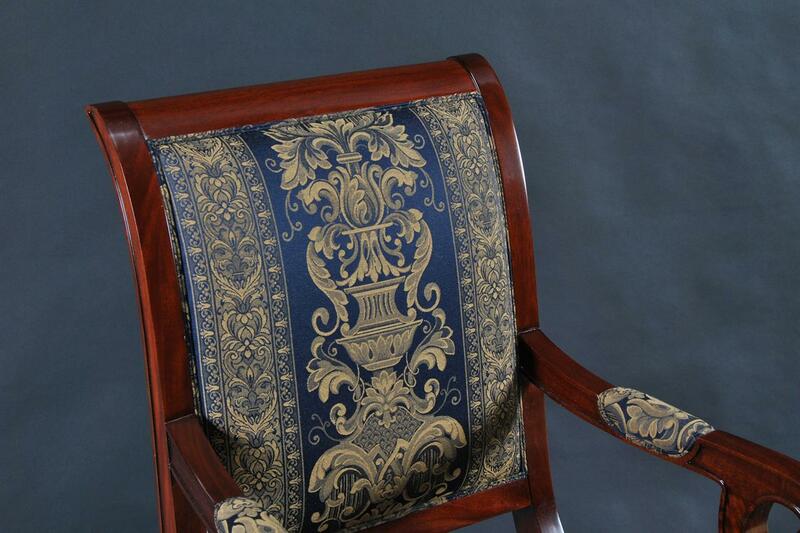 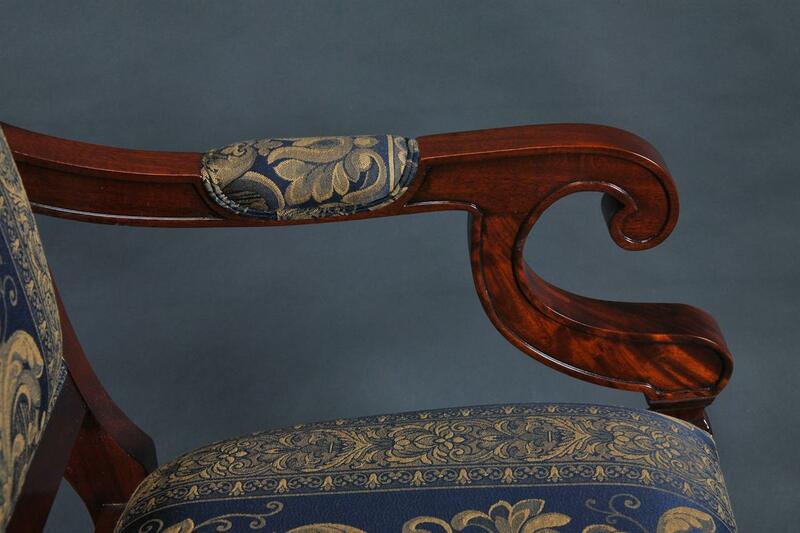 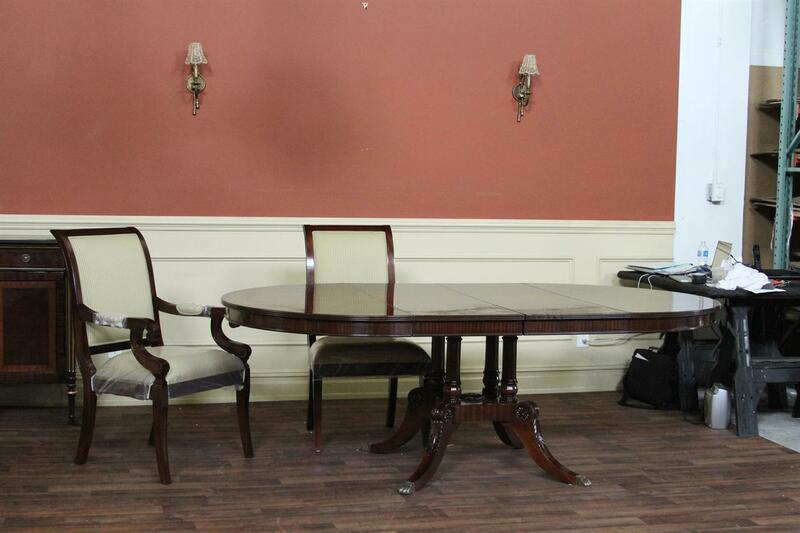 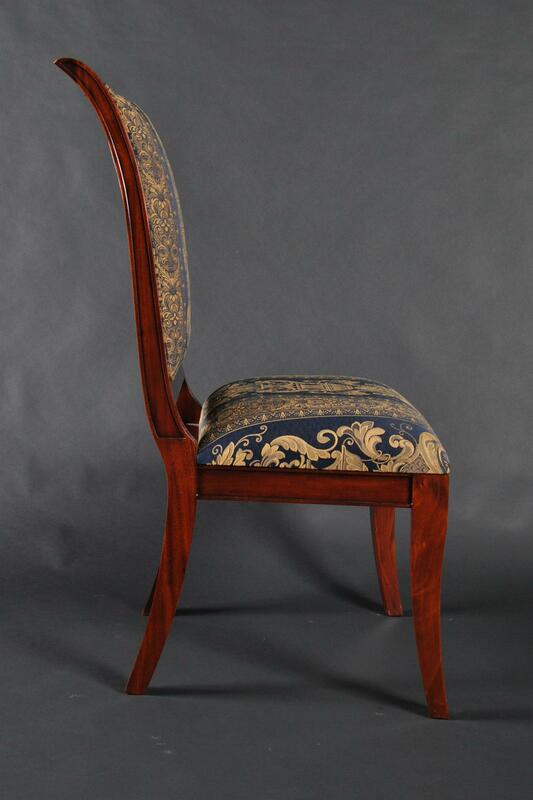 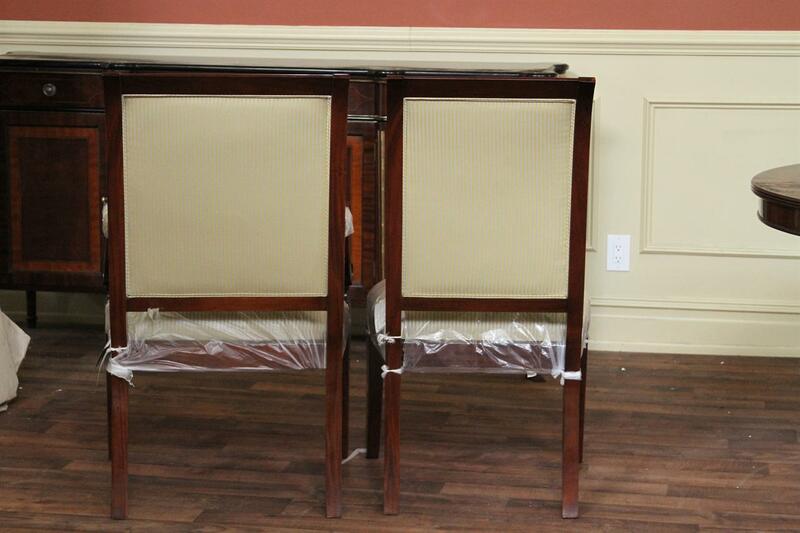 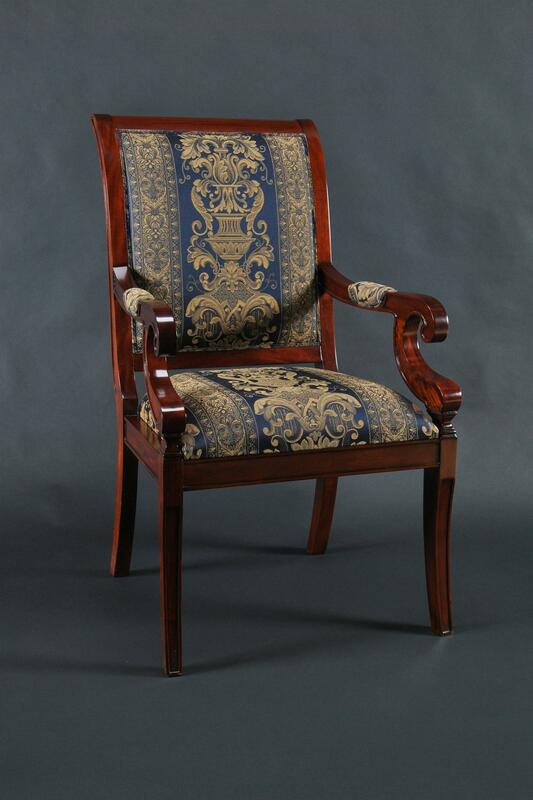 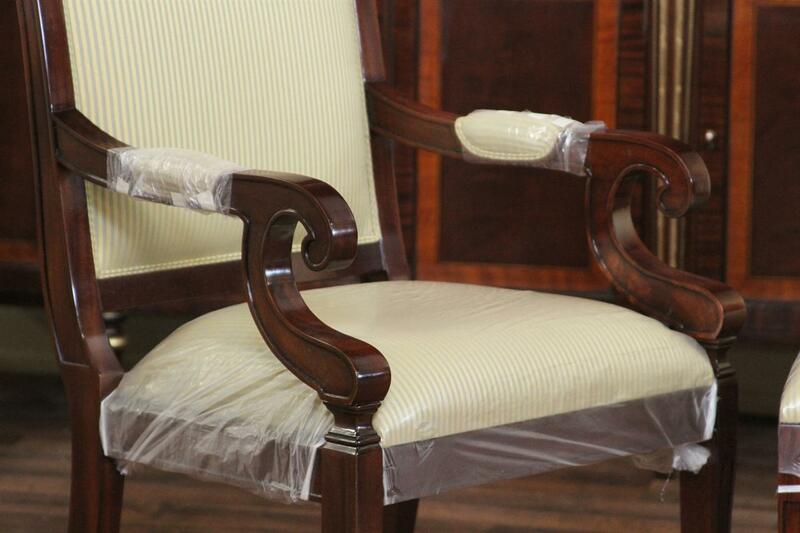 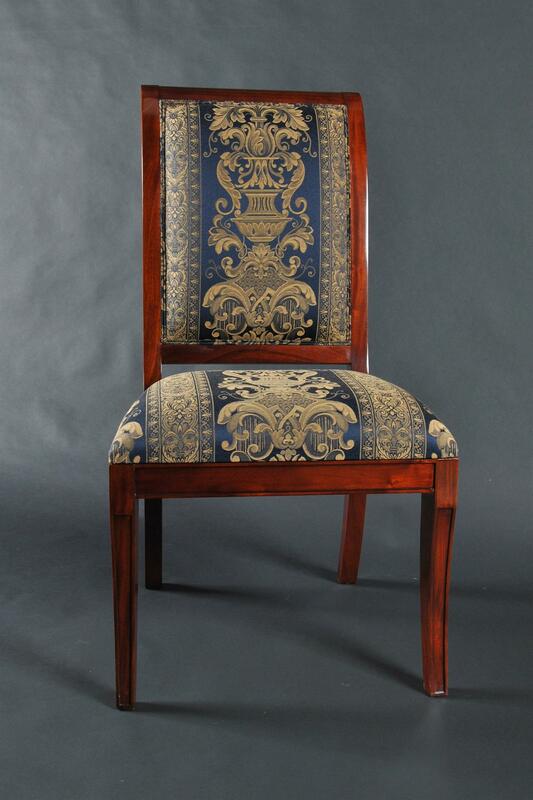 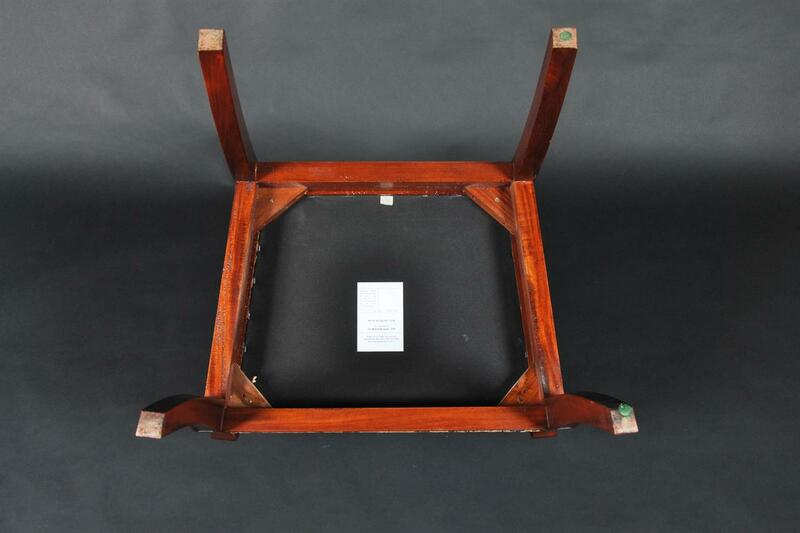 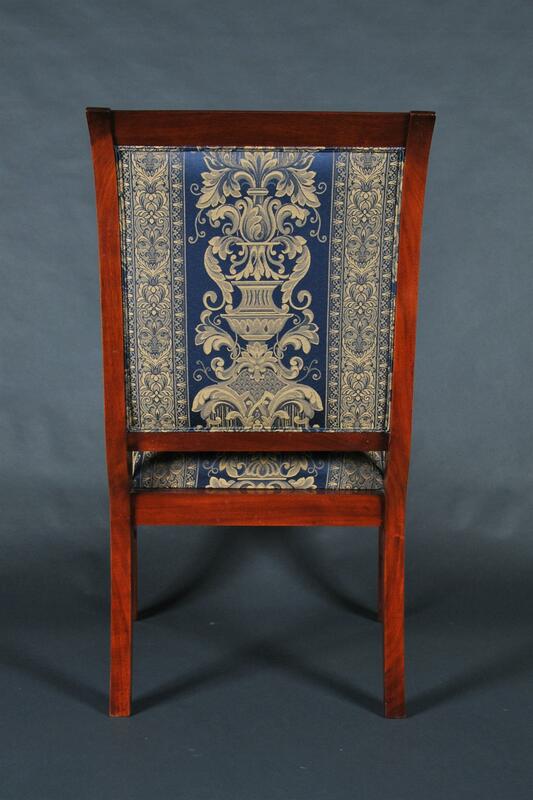 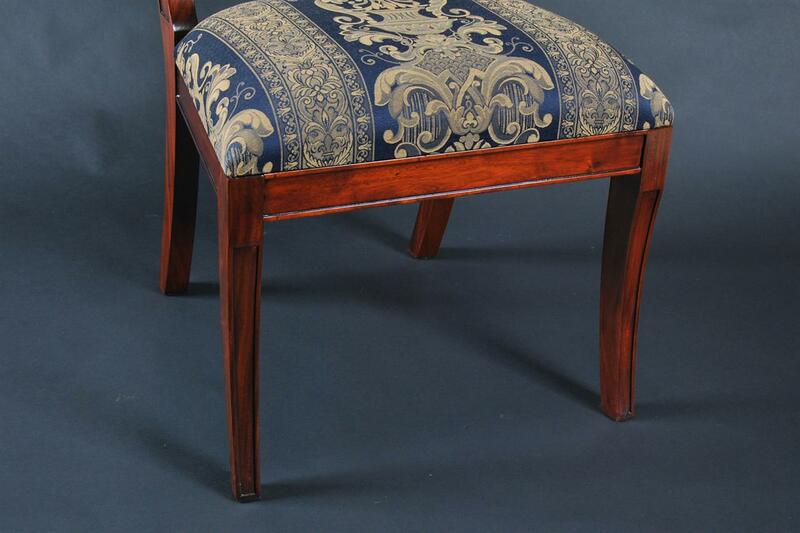 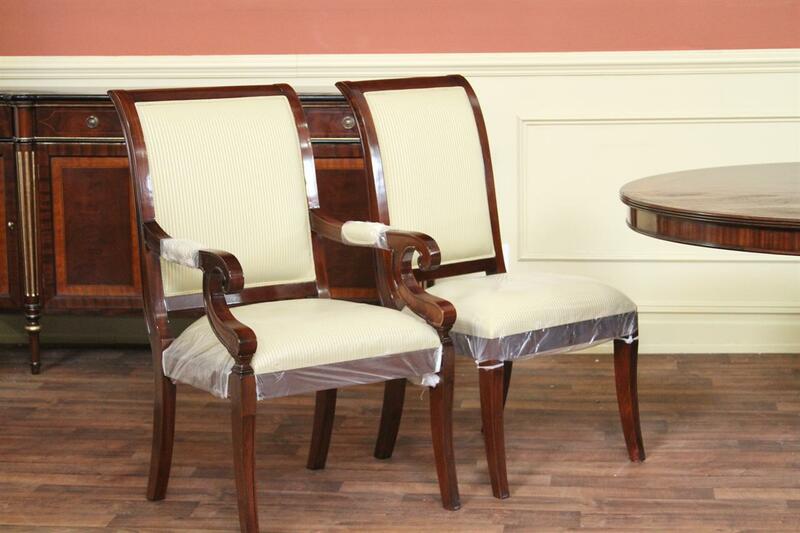 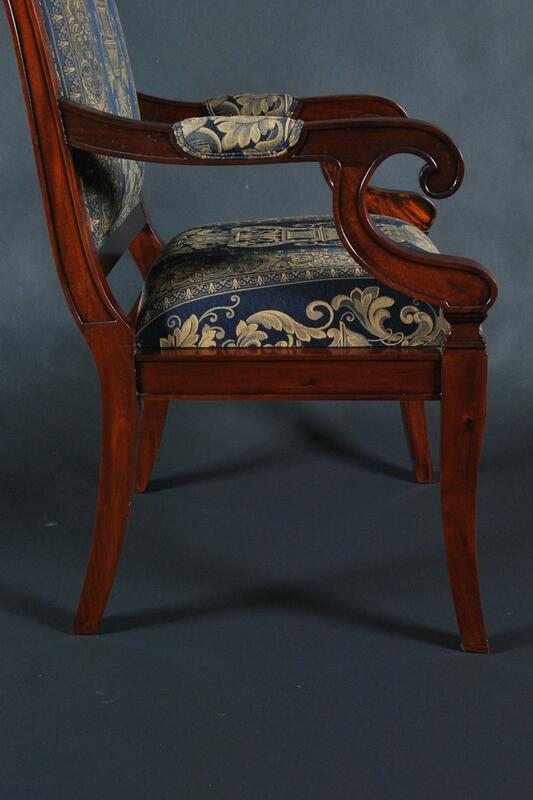 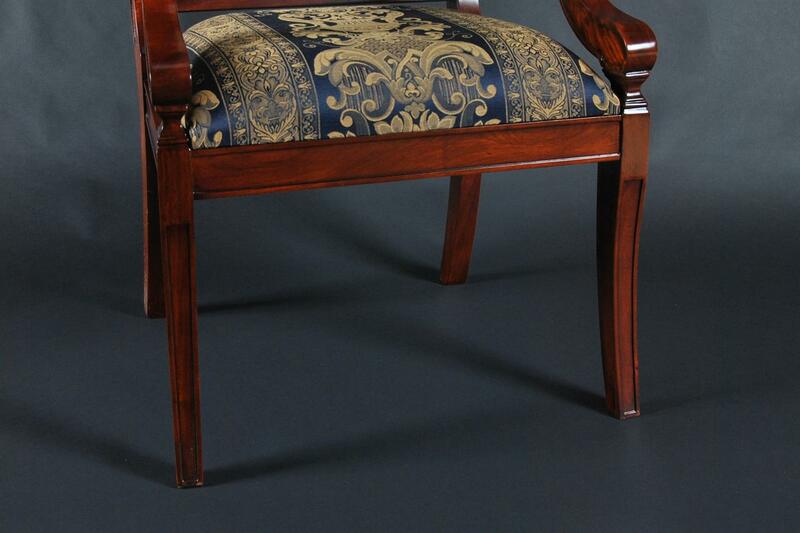 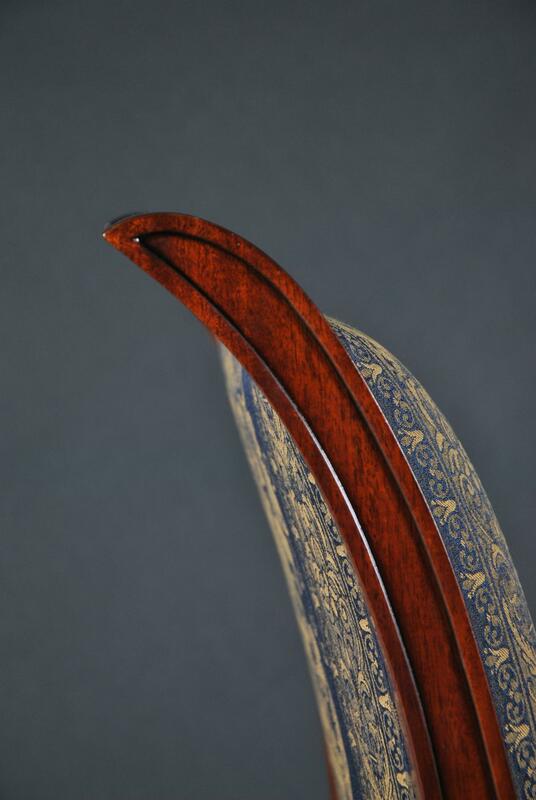 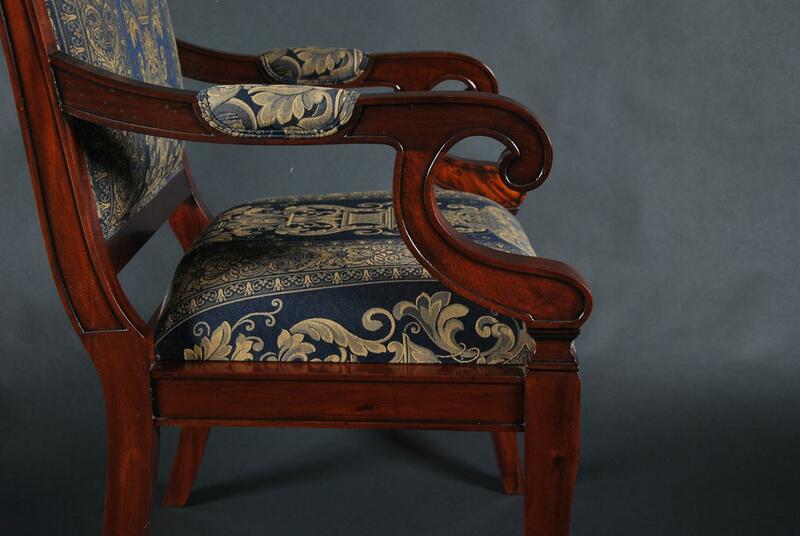 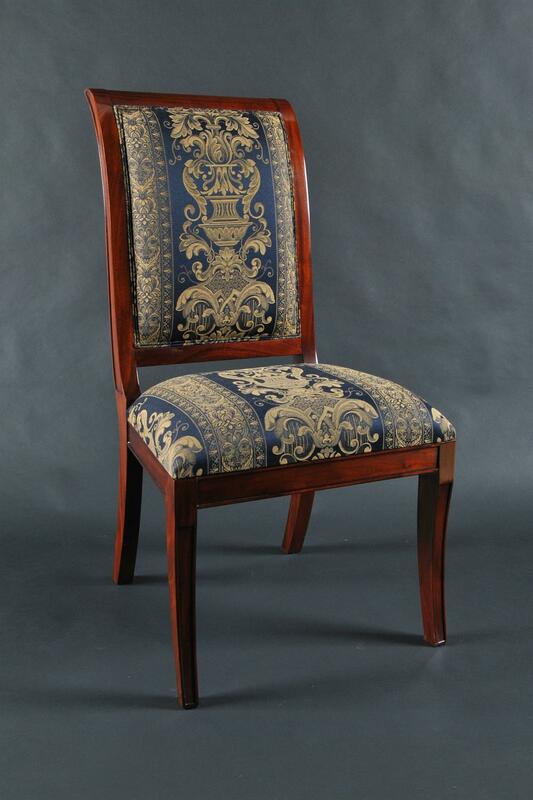 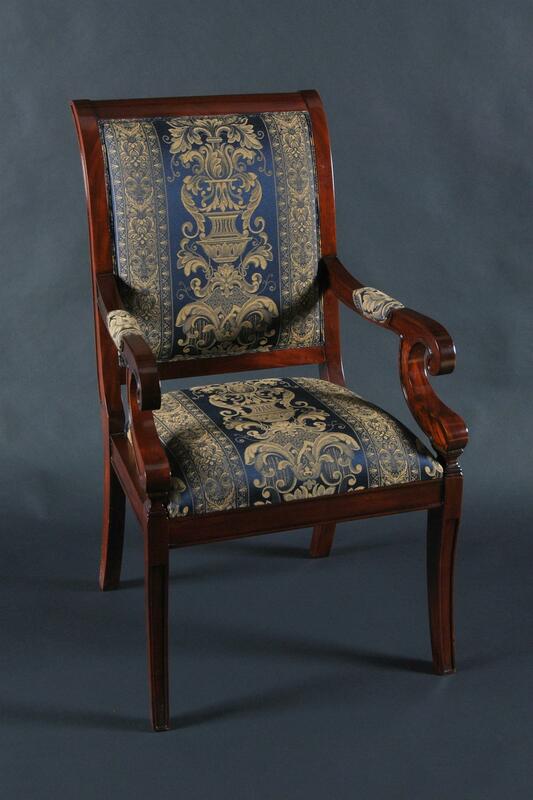 Description: Solid mahogany regency style dining room chairs. 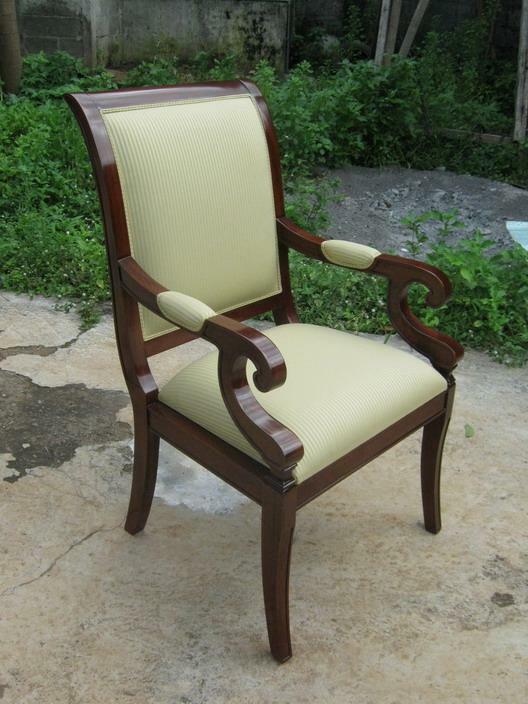 Our new design for 2012. 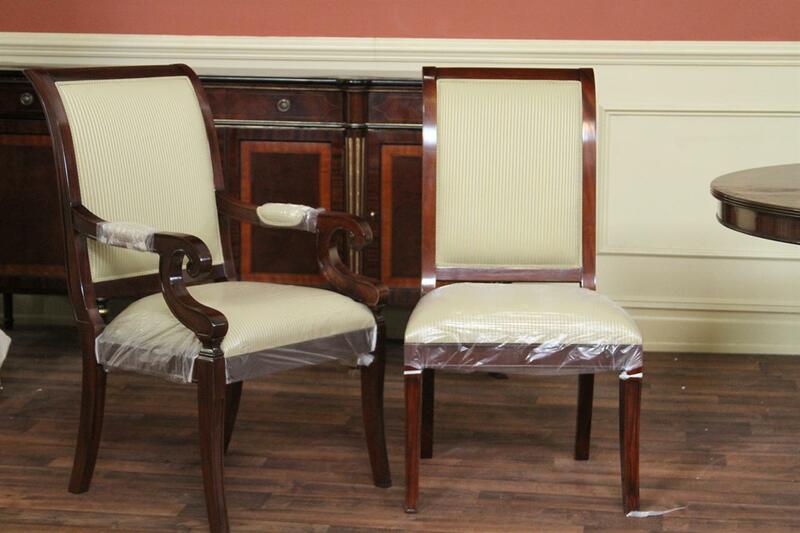 These chairs are solid, strong and fully upholstered. 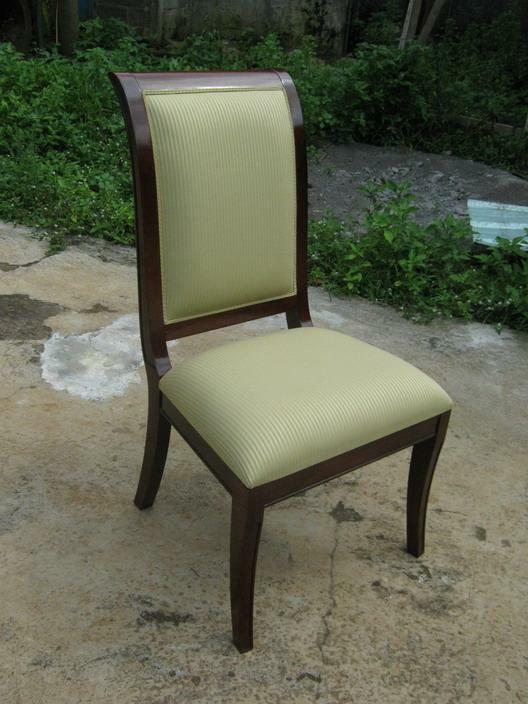 Now taking orders.